The first documentation of this important free improvising group, featuring Roger Baird, Billy Bang, Malik Baraka, Daniel Carter, William Parker, and Herb Kahn. Existing during the heyday of NYC’s Loft Scene, their name has often been cited as a crucial stage in the development of its members — the seeds of such current ensembles as Other Dimensions In Music and Test can be found here — but their singular music has gone largely unheard, save by those who were present at their concerts. 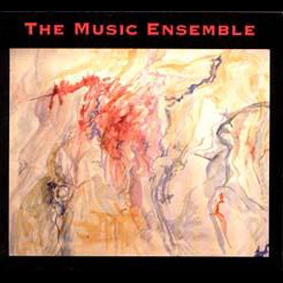 This CD has been compiled from archival tapes recorded by Roger Baird; one complete performance from Brooklyn’s Kingsborough College, on 24 April 1974, and excerpts from a concert at the Holy Name School Auditorium, on 15 February 1975. Packaged in a mini-LP gatefold sleeve, with liner notes by Parker, Bang, Baird, and Carter, paintings by Marilyn Sontag, and a reproduction of the poster for one of the shows, this is the recording debut of one of jazz’s greatest “lost” groups.